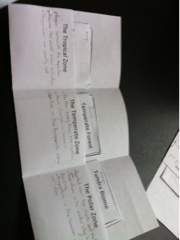 We created "pocket books" to help us organize our biome notes. Using this study tool can help when preparing for Friday's test. A Visit from Famous Astronomers!